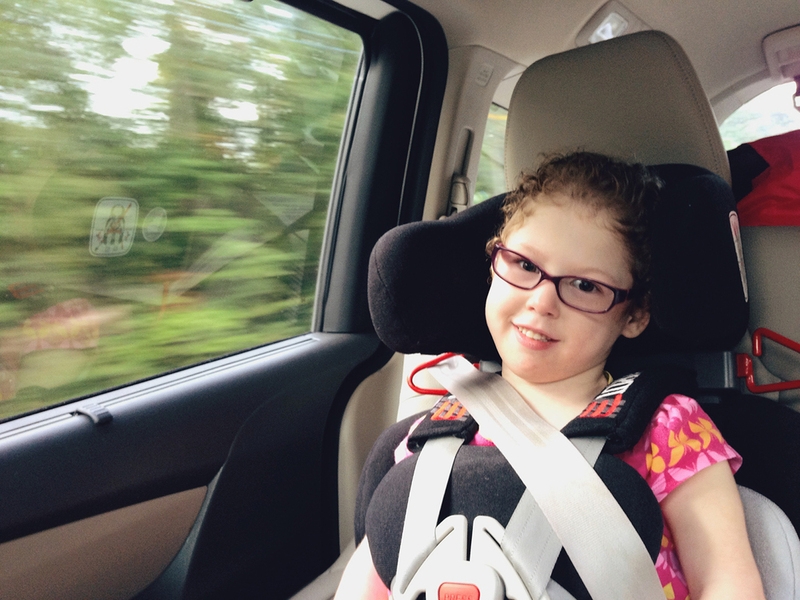 The first two days of our vacation were full of driving. Caleigh did great with it. We stopped often, and no, she didn't wear her neck support the entire time. Can you imagine? Yikes, I would go crazy. Our new van was amazing on the road. The space and ramp were just fabulous. We piled everything in the back and we were still able to put Caleigh's wheelchair in the back while still able to get it out easily when we needed it. 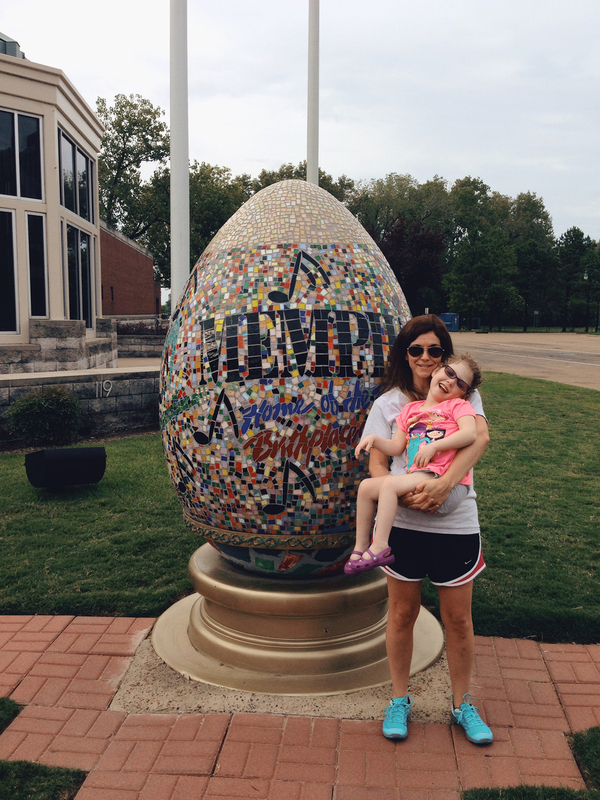 Every time we head East we always stop in Memphis, Tennessee at their visitor's center. It's right on the Mississippi River, and it's always a nice area to stretch and walk a long the river. After Memphis, we kept driving hitting, Nashville around rush hour. At that point we decided to make it a few more hours. We ended up stopping in Mt. Juliet, TN that first night. Caleigh woke up early the next morning. We watched the sunrise from our hotel room and then headed back out on the road. When we finally made it into North Carolina, Caleigh was super excited. We hung out at the beautiful visitor's center for quite some time checking out the mountains and planning some adventures through the numerous state pamphlets and brochures. We jumped back in the van and made our way further up the mountains. We started to see glimpses of Fall and little did we know it was just the beginning. It wasn't long until we made it into Asheville, NC. We stopped in the Grove Arcade area around 2pm. We ate a late lunch at The Laughing Seed and did some shopping. We just love Asheville. It reminds me a lot of Austin. It's funky. It's eclectic and hippie. It's off the beaten path and that's right up our alley. We finally made it to our destination at Linville Falls, NC around sunset that evening. We unloaded the van and got settled in. I had rented this cottage on VRBO several months ago. At 400 square feet, I was concerned that it might be a bit cramped, but really it was just right. The interior of the cabin was adorably decorated. Both the front and back porches added to the living space. Living in such tight quarters during our stay made me realize that we could live a much simpler minimalist lifestyle at home. It can be done. Having less to take care of inside the home left so much more time for outside activities. 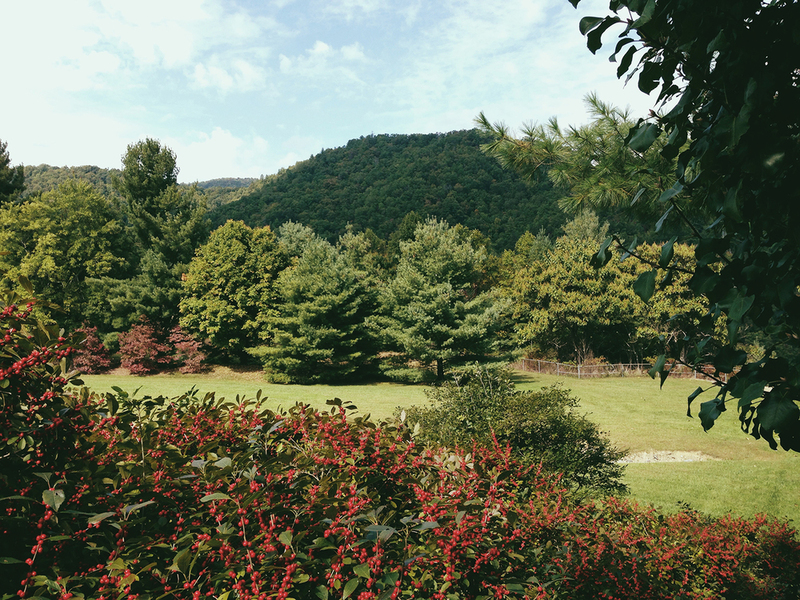 It was absolutely wonderful waking up, sitting on the porch and listening to the Linville River run just behind the cottage. There just so happens to be one of these fully furnished cabins for sell at a bargain of $59k. I kinda really want one. We unloaded the van and got settled in before heading over to our friend's house to visit. We made it back to the cabin fairly early mostly because we were worn out from our two days of driving. Caleigh slept on the full size bed. Eric and I took the queen sofa bed which we quickly realized was the worst bed we had ever slept on. The following night, Eric and I took the bed and we put Caleigh on the sofa without the bed pulled out. We all slept much better from there on.